Cornerstone Architectural Group, LLC, celebrated 30 years in business during a reception at the firm’s Hamilton Boulevard office building. Staff, invited guests, clients, business partners, friends and family gathered at an outdoor social gathering amid tasty treats and favorite beverages. The celebration was highlighted by Borough Council President Derryk C. White, when he presented and read a proclamation from the Mayor’s office congratulating the partners and staff of Cornerstone on their 30th Anniversary. 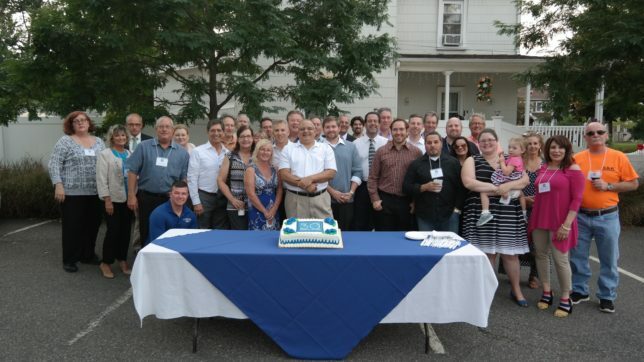 Ranked by NJ Biz Magazine as one of New Jersey’s top 50 architectural design firms. Cornerstone Architectural Group is a local, design award winning firm that specializes in professional services in architecture, interior design, land planning and construction management. The firm employs a staff of ten at its South Plainfield office. The firm delivers design excellence in public, civic and commercial buildings. 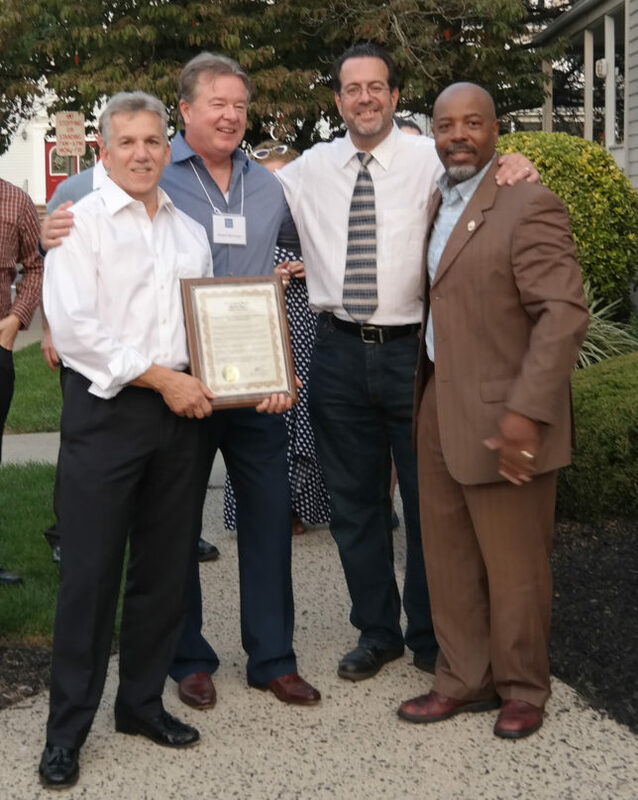 Pictured (left front to right): Firm partners Robert M. Longo, AIA, Robert F. Barranger, AIA and Michael G. Soriano, AIA, receive a special proclamation from Borough Council President Derryck C. White.